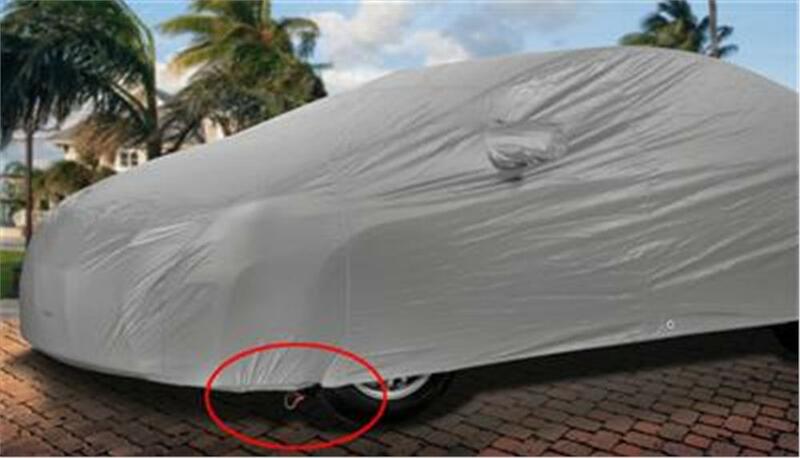 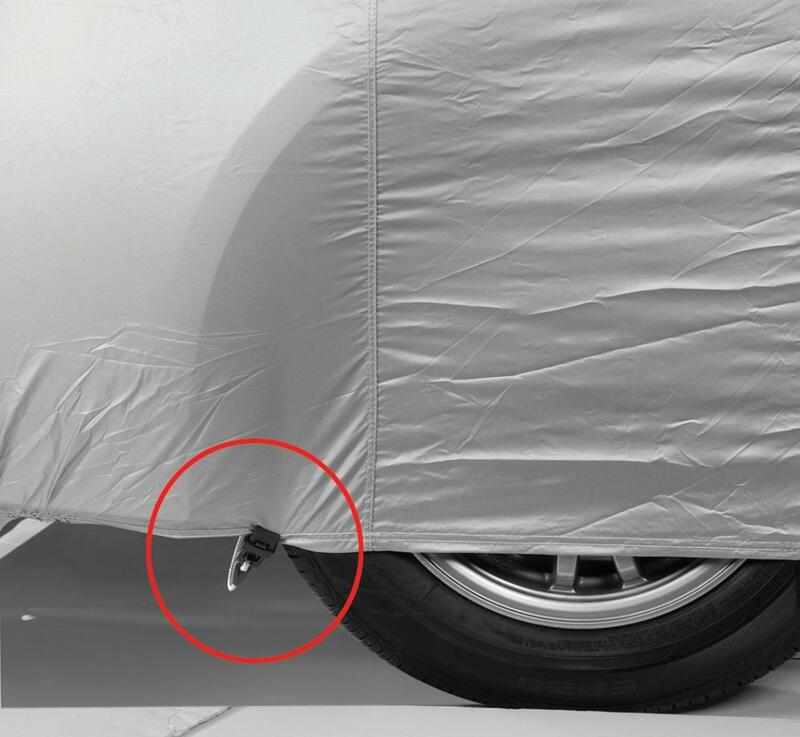 The Gust Guard Car Cover Clamps were designed to stop billowing car covers in windy conditions from allowing dust and dirt particles to become trapped and scratch precious paint. 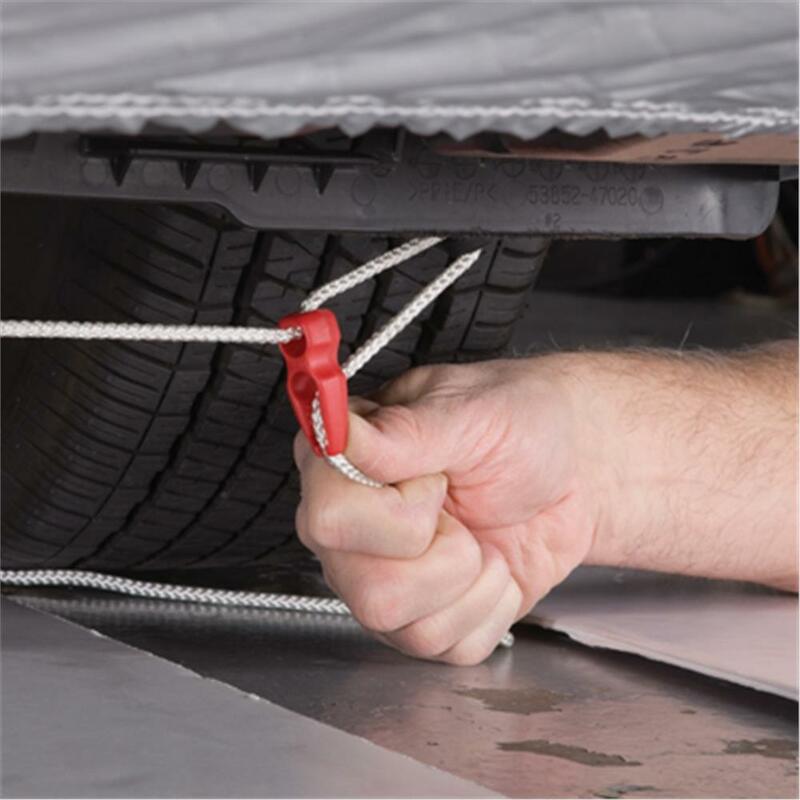 Handle this situation with the Gust Guard clamp and cord kit, designed to safely cinch automobile covers in place. 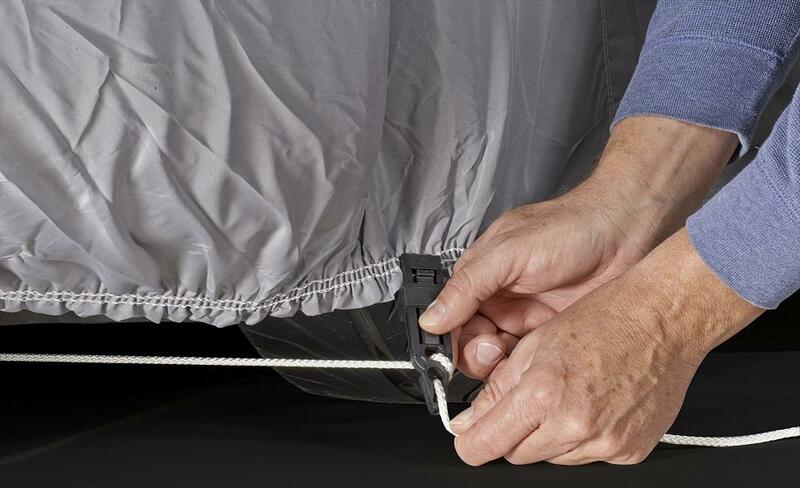 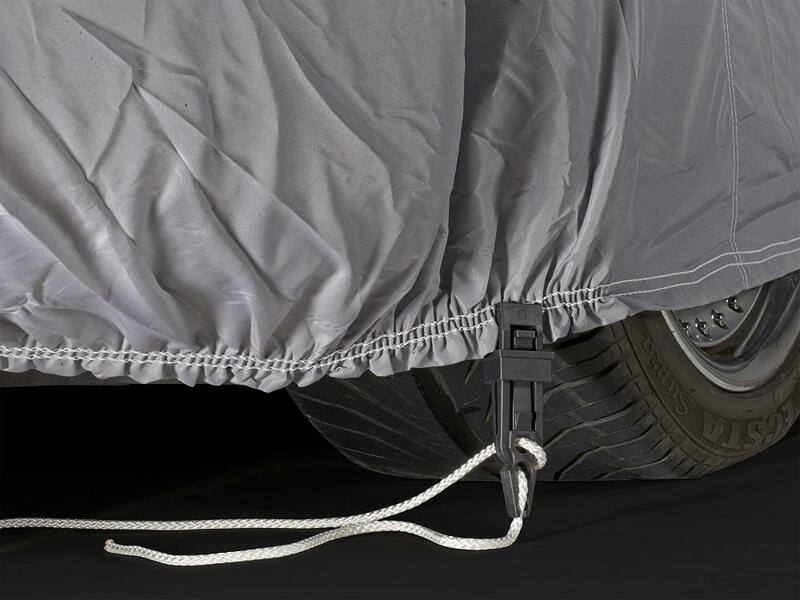 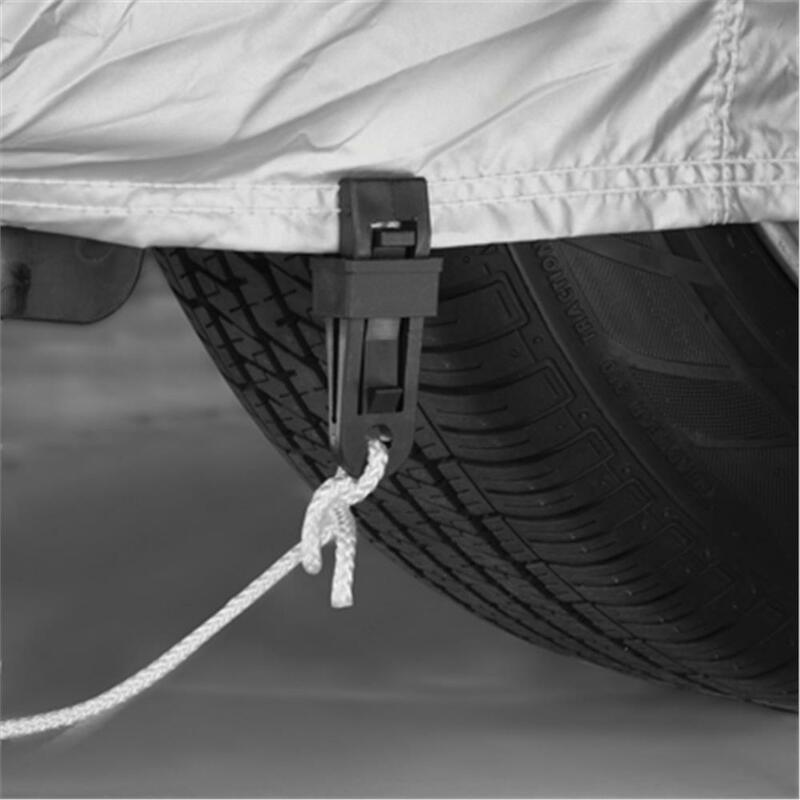 The Gust Guard Car Cover Clamp Kit includes four adjustable clamps that grip the hem of your existing car cover, a pair of 7' white cords to eliminate slack in the fabric, and two friction locks to secure the system.